I have this habit of charging my phone in the car and placing it my cupholder (the only convenient place to put it) while I’m driving. It doesn’t matter if I use a stock cable or aftermarket edition, it inevitably ends up wearing down because of the stress placed on the connector. The internal wiring becomes exposed and voila! I eventually have to replace it a few times a year. If you’re like me and have a similar problem with wearing down your charging cables, you too could use a USB93 in your life! 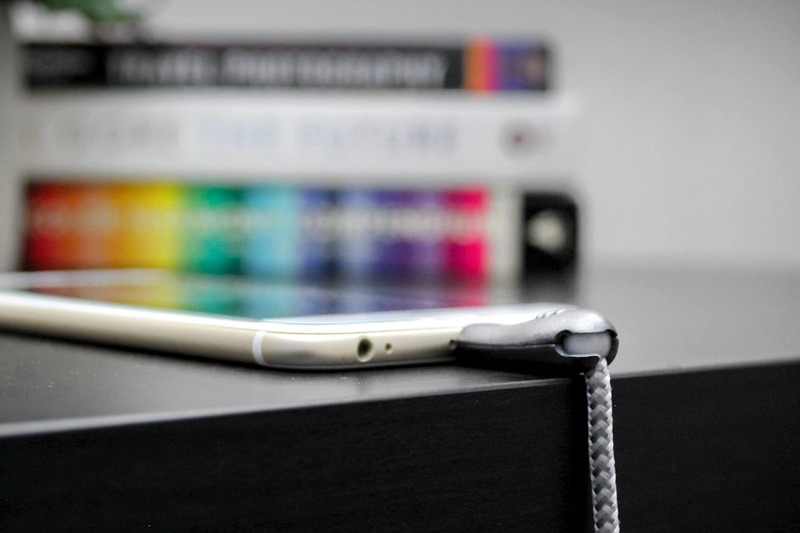 It’s the world’s first unbreakable USB cable. It also features a uniquely designed rotating-ball connector that swings 90° in 3 directions so you never have to worry about stress being placed on the delicate ends. This in combination with its nylon braiding ensure that it’s long-lasting and that you never have to waste time and money replacing worn out cables! 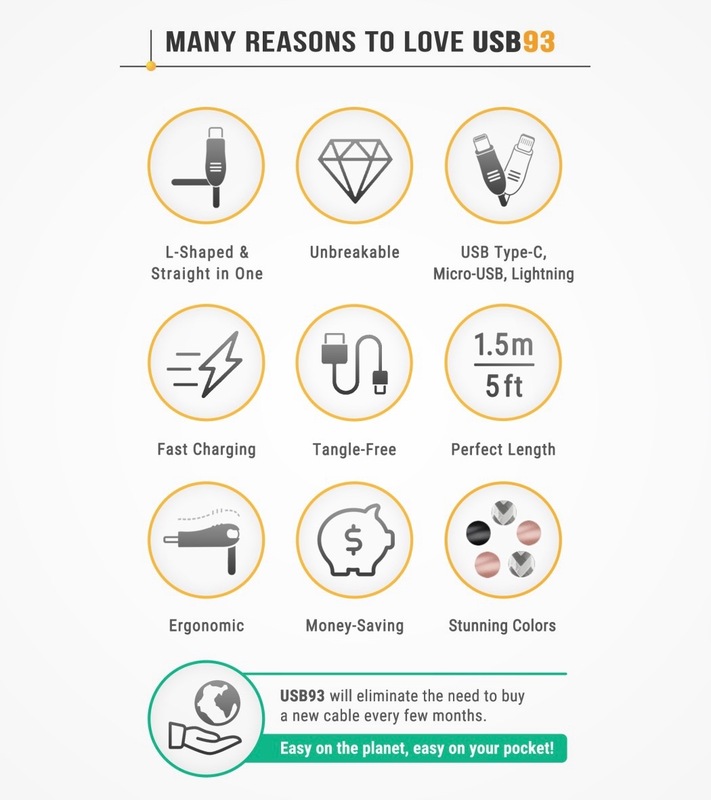 World’s first Unbreakable USB cable. 90° rotation in 3 directions, fast charging & tangle-free. 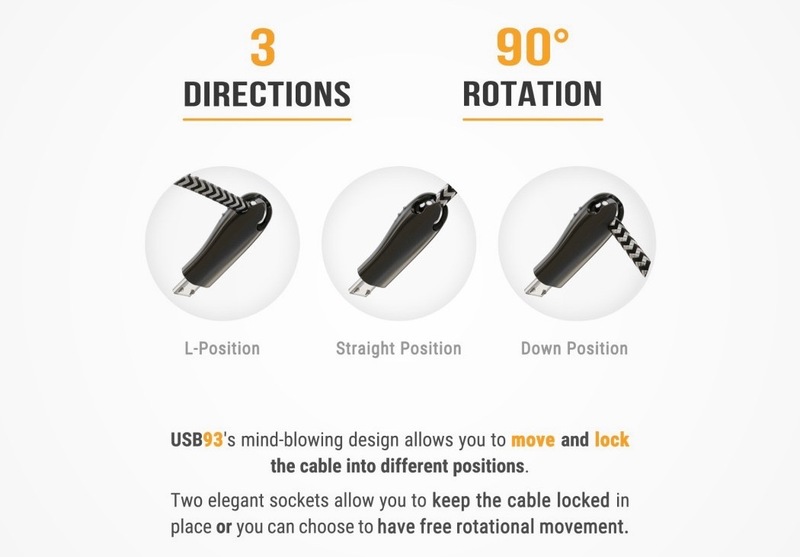 USB93 uses a unique rotating ball design inspired by robots used by NASA, Boston Dynamics and world over. 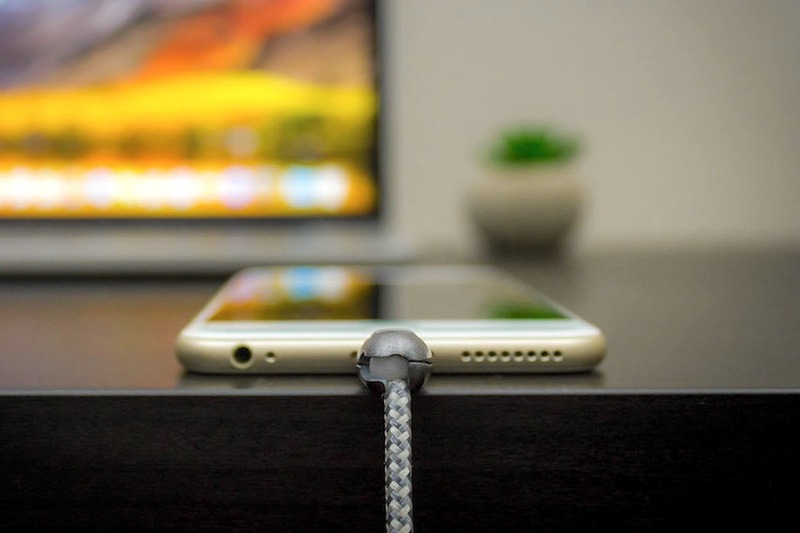 The simple yet extremely functional design allows full range of movement which takes the stress off the cable connection hence prolonging cable life and providing options to use your device in the most comfortable way possible. USB93 uses nylon braiding so you get a tangle-free experience, giving you more time on untangling things that really matter.